Perfect for your HIIT workouts, circuit and interval training. 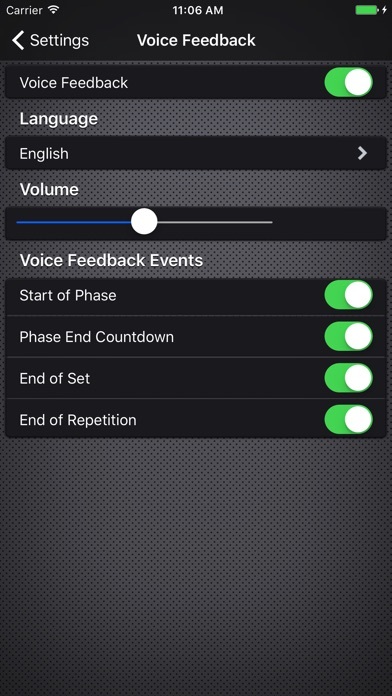 This easy-to-use interval timer app with voice feedback allows you to focus on your workouts (the most important thing!). You don’t have to stare at your watch - all you have to do is get moving and the interval timer app will tell you what’s next. Set as many timers on your iPhone as you desire, save these settings, and use your customized timers again and again. 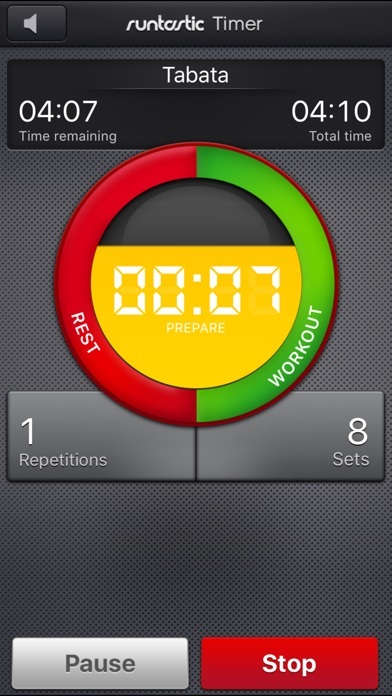 Define your workout intervals (workout, rest period, sets, reps) and construct unique, personalized interval workouts! 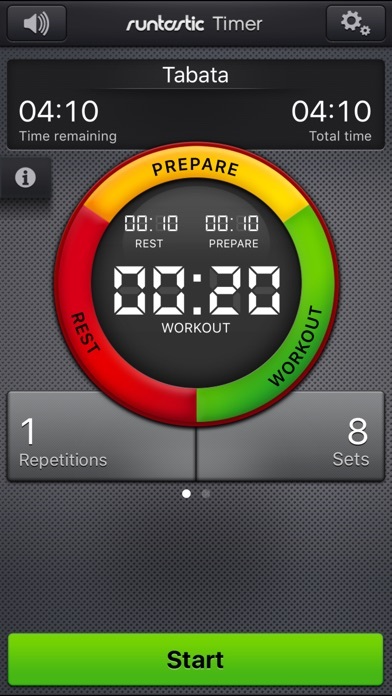 APP FEATURES & BENEFITS: - Customize your timer with various activity phases: * Workout * Rest period * Reps * Sets - Voice feedback: Constantly looking at your iPhone and clock is a problem of the past - Create an infinite number of timers, save them, and use these again and again - Determine sets of workout phases and rest periods, and how often you want to repeat your circuit - Displays both total time and remaining time Use our timer app while training at the gym, with weights, kettle bells, spinning, bodyweight exercises or other fitness activities! The Runtastic Timer app is also a great fit for those engaging in HIIT (High Intensity Interval Training), interval training, or bootcamp-style circuit training! The countdown is on! Download the practical Runtastic Timer app today, and enjoy the unique timing benefits during fitness activities and in your everyday life! I use this all the time for workouts such as box jumps. Wish music could play at full audio and cut out as time winds down. Great for a simple work out routine. Simple to use and I’m only using the free version! Timer works great but is not fully compatible with music playing in the background. You ask for a review right after I download it so here it is. I could change the time. But then again I only had the app for less than a minute. Sorry but this timer isn’t worth the money. The layout and interface is perfect. However the functionality is poor. If you do interval training you can’t set different training or rest times during one training. You have to keep the app open on the front screen, otherwise the timer will pause. For example if you are „resting“ and switch to another app in the meantime it pauses. Limits the volume of your music. You’ll only get max 70% volume while using the app. There are enough other apps which which don’t look as nice but are at least free with equal functionality. I love this app....but what happened to the music? I wanted to add more music , but it’s missing from the app. Also I’m quite irritated that the music stops playing after awhile and I have to stop and restart it again. Breaks the flow of the workout. Please fix this problem!!! !